Soon, it will be the 30th Anniversary of the airing of Graffiti Rock and through your contributions, we will re-master the 1 inch broadcast video tape of the show (on to DVD) as well as produce a new, feature length film called Graffiti Rock: The Untold Story. Graffiti Rock: The Untold Story will be an in-depth documentary that captures the memories and reactions of today’s Hip Hop celebrities to first seeing Graffiti Rock, and how it impacted their lives. 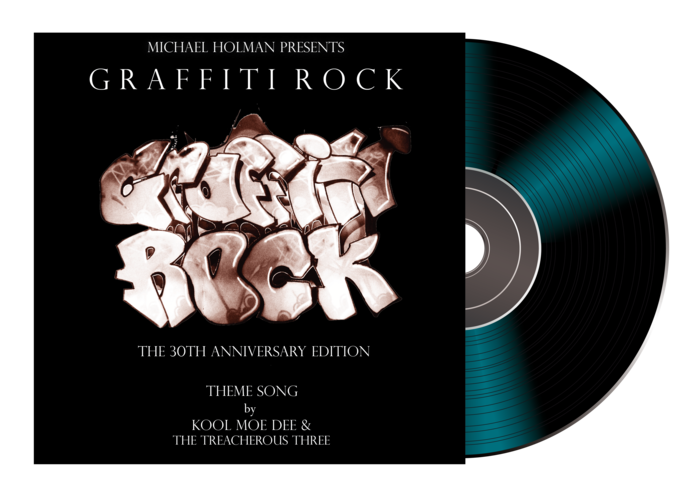 The documentary will also capture the “behind the scenes” making of Graffiti Rock, as well as my own personal experiences and accomplishments as a Hip Hop Pioneer, helping to introduce Hip Hop Culture to New York’s Downtown Art Scene and eventually to the rest of the world.